Art + Galleries Come In! Downtown Aurora is home to a number of galleries, museums, and festivals for every art lover’s taste. In recent year’s, downtown Aurora has become a burgeoning arts community and an exciting mecca of art resulting in new artist festivals. Aurora hosts a spontaneous art walk on the first Friday of every month at various downtown venues. From February through December, almost two dozen venues in downtown Aurora open their doors to art, music, and more. From noon to 5 p.m. on the last Saturday in August, more than 60 artists set up along the pedestrian-friendly Water Street Mall in downtown Aurora. Party on the street on First Fridays in August as Stolp Avenue closes to vehicular traffic and welcomes live music, family-friendly activities, and live art. Paramount’s upstairs gallery is grand with large walls full of exquisite works of art. Opens seasonally during First Fridays and features prominent local artists. Open to the public during performances. 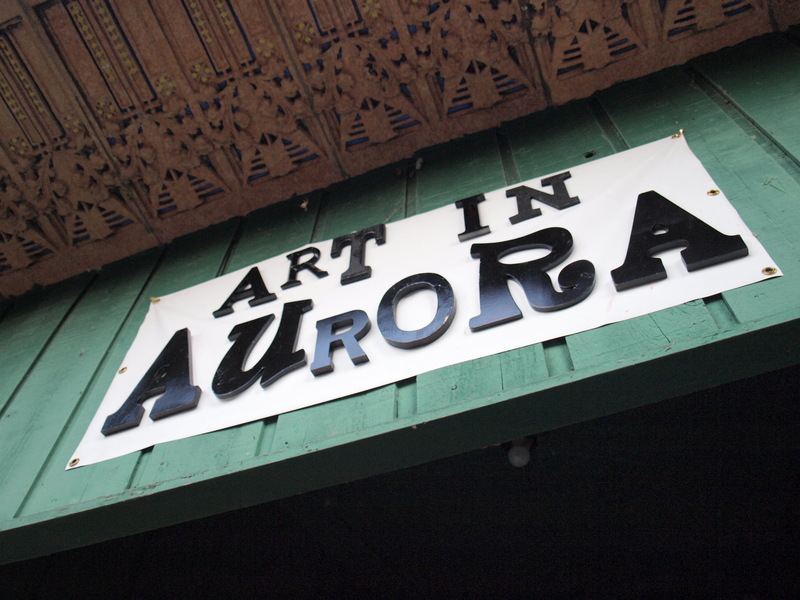 Aurora Art Studios is a cooperative of area artists featuring water color, pen and ink sketches and mixed media work. The studios also hosts open gallery events, and features local artists. Aurora Art Studios is open by appointment only. They host an open house annually on the Saturday before Thanksgiving. One of the oldest buildings in downtown Aurora is home to both the Aurora Historical Society and Aurora Public Art. The David L. Pierce Art and History Center (lovingly known to locals as “The DLP”) at 20 E. Downer Pl. is a three-story limestone-faced structure that was restored and reopened to the public as a museum in 1996; it was renamed in honor of the former mayor in 2003. The third floor features rotating art exhibits. Hours are Wed through Sat from noon to 4 p.m. It is free to visit. Donations are appreciated. If These Walls Could Talk​ ​is ​a ​new custom frame shop and gallery located on Stolp Island in Aurora. Customers are encouraged to bring their art and memories for framing that will last a lifetime. The shop​ ​offers gallery space to display their work, and is open every First Fridays with a new exhibit. Endiro Coffee’s lower level showcases artwork with opening receptions during First Fridays.